Since having our boys three years ago, we haven't really posted a lot of pictures of our kids online, mostly because we've had quite a lot going on. However, recently we have started a YouTube channel primarily focused on our kids. So yes, there's been a bit of a shift. In the past, we've been hesitant to post pictures of our kids because our boys are different, and there is such a big and complex back story to our family. Our journey as a family has not been the typical experience. Early in my pregnancy, when we were busily travelling the world like privileged nomads, we found out we were having twins ('whoa', then 'hooray'!). We also found out they had serious health challenges, and may not make it - both of our boys have cerebral palsy and a rare syndrome. There have been a lot of long ICU stints, surgeries, medical complexities and lifelong disabilities, but our boys have made it this far and are thriving. We didn't wake up one day and think, "let's make these kiddos famous!". There has been a lot of soul searching about this, and my husband Tim and I are ultra-wary of the phenomenon of parents creating social media brands out of their children. We constantly reassess whether we are doing this for the right reasons. Going 'live' has required some real courage, lots of deep breaths, and many prayers, knowing that we are sharing our pearls with those we know and love, but also those who we don't know. So, here are our reasons for putting our kids online (I hope it's okay, kids!). Cerebral palsy (known as CP) is the most common physical disability in children with one in 500 children diagnosed. However, it wasn't until I had my two boys that I ever saw a child in a walker, and I can't recall ever seeing a small child in a wheelchair. Sharing images and videos of our boys is a way of saying, "we're here and we have a right to be us", just like every other three-year-old. By introducing difference and disability through our personal stories, we hope to normalise it, bring understanding, and make it a little less daunting for other families with similar experiences to do the same thing. Our boys need opportunities to experience the world just as much as every other kid, so we want to share some of our adventures to show how important and enriching this is for everyone. Having to watch our children endure more than most do in a lifetime, and knowing this road for them is far from over, has forever changed us. Going out with a child who isn't mobile is a huge effort and can sometimes be really hard, especially when there are medical or other complex issues involved. Much of this effort is just the reality of a disability, however, a lot of it is because society isn't as accessible - physically or socially - as I assumed it was. We want to make sure the world they're growing up in is kind, fair, accessible, and understanding of difference. So, if we can have a platform to make this dream come true, we will use it. 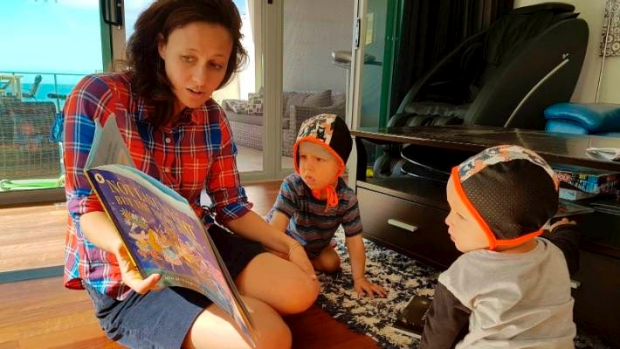 For the first three years of our boys' lives, it was mostly a period of simple survival - day-to-day living, or on the really bad days, hour-to-hour. As we have transitioned from critical survival and continual complex care to more a more manageable and monitored stage, our eyes have been opened to how many others continue to live like this, yet are unable to share their important experiences. We now have more space in our lives to share this journey and tell this story from the inside with dignity. Obviously, as parents, we cannot tell the story from our boys' perspectives and will never try to, but we are right in there, in the front seat. We are passionate about the ability that social media has to dignify, humanise, and empower, rather than victimise, stigmatise, and sensationalise. So we are pretty careful about what and how we share our family story. Our boys and the journey they're taking us on has pockets of more joy, love and life than I ever knew I could experience. Normal and ordinary experiences have been transformed, appreciated and heightened like never before. For us, it has really taken a village to get this far, and we feel like we want to give back. By sharing our journey we can hopefully share the simple joys, pleasures and richness disabilities can unearth. We're living in an amazing time for children needing rehabilitation. Scientifically, medically, and therapeutically there is so much hope for these kiddos to improve function and reduce future pain and deterioration. 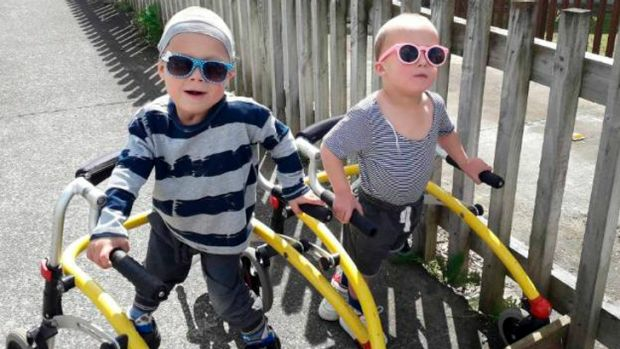 Our family has already started doing some innovative interventions and have seen great results with both of our boys improving their strength and functions. We would love to share some of what we are doing, give hope to others, and push for services to do more for our amazing children. As we take this leap of faith, I can honestly say that I think we have made a great decision for our family, but also for the world. To follow the Dove London's journey, visit their website Ordinary Extraordinary.